We have made our best guess at your data, but check below that everything is ok. Remove this file so you can upload another in its place. See your map below. If you find any markers out of place - just drag and drop them to the correct location. Enter a short title for your map, what is it? Enter this in case you want to EDIT your map later. Public Unlisted Password Protect (Pro Only) If you select "Unlisted" your map will be saved to a unique URL that will be kept private to you, it will not be listed anywhere on the site. You can read up on map privacy in our features section. I have read and agree to the BatchGeo Terms of Service. Please contact me about special offers on BatchGeo Pro. 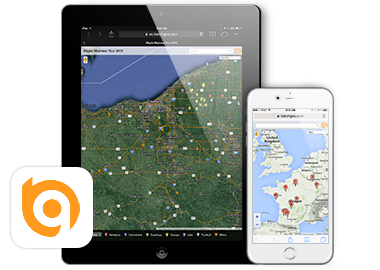 From spreadsheets, to tables in web pages, databases—anywhere you can visualize a table with location data you can paste it into BatchGeo. If you are starting from scratch, we recommend using our Spreadsheet Template to get started with your data, then simply copy the data over to BatchGeo to create a pin map. We make our best guess at your intended columns like the address, city, state, zip code, or latitude / longitude. You may want to set the options yourself if you don't like the default behavior. We geocode your postcodes / addresses and make your map. 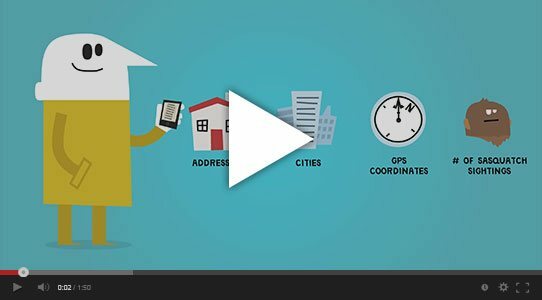 It may take a few minutes depending on how many addresses you have, if you already had latitude and longitude in your data it will map instantly. After you are done mapping the addresses you can save to a web page using the "Continue & Save" option. Over 25,000 people and businesses use BatchGeo every day - with 12,085,224 maps created. Mapping should be this easy.